Before you actually start filling your site with content, decide upon a logical structure for your site. First of all, this will make it easier to build your site, especially for larger sites. Also it can prevent you from having to re-structure your site later on. I often perform SEO audits and while many issues are easy to solve, this one is not: Restructuring a website often leads to changes in the existing URL's of your website, which could have negative impact in the search engines. Of course you can correct this with redirects, but it creates additional work that you can avoid by starting off right. 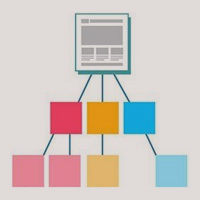 By carefully creating a logical category structure both people and search engines will find it easier to understand your site structure, and it also helps to maintain the site. What can often help is to make sure the category structure and the menu-structure are set up in a similar way. On Joomlaseo.com, I have categories for SEO-checklist, Performance, Extensions, Audit Tools and Blog, and you can easily see that this is exactly how I have set up my menu. If you take this technique even up one level, you can use it to create so-called SEO-silos in your website. To learn more about this, read this (non-Joomla) blogpost by Authorityhacker.com or this one www.alfredlua.com/seo-topic-clusters. Of course, there may be exceptions where this is hard to achieve, like large webshops or product catalogues. Joomla creates URL's based on the menu-structure. If the article is not accessible through a menu-link, the URL will be based on the Category - Article structure. The actual URL is based on the alias of the Menu-item / Category / Article. So, a URL is usually created for every menu-item, even if 2 menu-items link to the same article (avoid this, it leads to duplicate content issues). The topic about URL's is actually pretty extensive, and it goes a bit too far to go to deep here. My Joomla SEO book covers this in much more detail. My advice is to always make sure every piece of content is linked to a menu-item. If this is a single article item of a category blog collection does not matter, both are fine. If you do not provide for a menu-link, you may even end up with content that cannot even be reached by users: orphan pages. One last tip here is to make sure you build a menu-structure that you oversee. If possible, only use one menu.... This is easy enough to arrange.